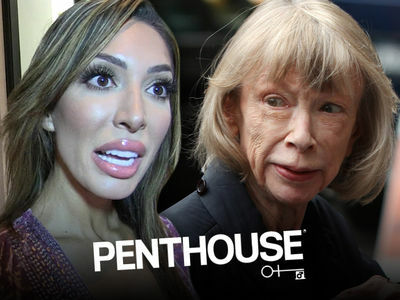 Farrah Abraham Poppy Like It's Hot!!! Farrah Abraham's taking advantage of Cali's super bloom to show off her super bum bum. The ex-'Teen Mom' star slipped into a sheer leopard one-piece bathing suit Monday to put the spotlight on her new fashion line with PrettyLittleThing. No, Farrah's not lost somewhere in the wilderness. She definitely picked a poppy field for this photo shoot as California's super bloom's in peak season. It's unclear exactly where Farrah is ... we're guessing somewhere in one of SoCal's state parks -- maybe Malibu's Point Mugu? Anyway ... a little fresh air never killed anyone. BTW ... the super bloom -- a phenomenon that usually occurs once a decade -- has been so intense, it's reportedly backed up traffic like crazy. No word if someone broke their neck spotting Farrah, though.